Vinformatix designed a web-based solution to streamline the process for issuing permits within the levee zone in the New Orleans area for construction activity and other events. The Southeast Louisiana Flood Protection Authority-East historically had used a paper-based application process, which often resulted in delays and a large backlog of requests. Adding to the bottleneck, final permits required approvals from two additional government agencies—one federal, one state. Based on stakeholder input, Vinformatix designed a digital system to automate the application and approval process and accept online payments. 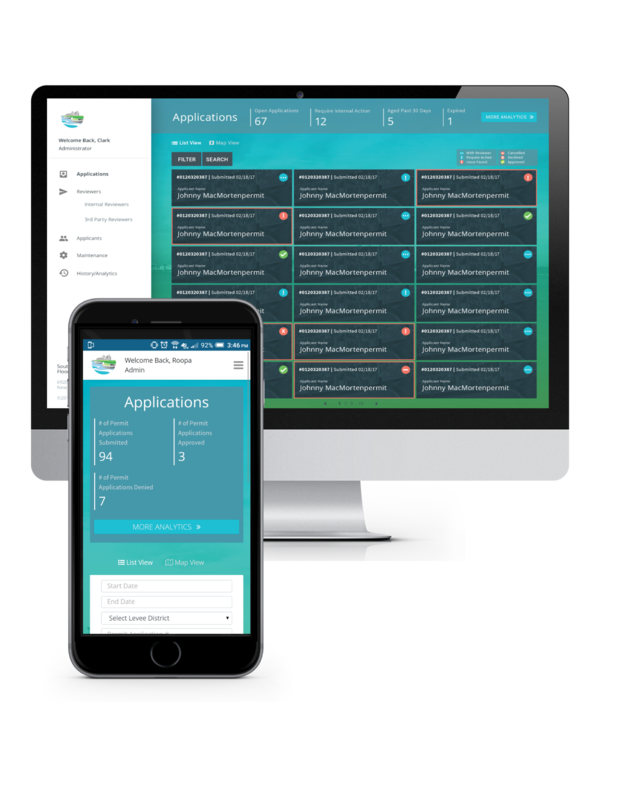 The mobile-responsive system integrates a GIS database that automatically determines the permitting requirements and approval chain based on the latitude/longitude entered. For applicants, the system can tell immediately whether a permit and fee are even required, which significantly reduces unnecessary paperwork and payment submissions. For administrators, the system has role-based security and a highly intuitive interface; it displays the issued and pending permits on the map as clickable links that include detailed information about payment transactions and the permit status. This project showcases Vinformatix’s ability to develop innovative solutions that work for government, industry, and the public, by combining our software expertise with our customers’ specialized knowledge and requirements.